As we age we start losing the facial fat and collagen, the chemical which keeps our skin supple, vibrant and youthful. As a result the facial volume decreases and the skin becomes susceptible to wrinkles and sagging. Dermal Fillers are injectable substances that helps to restore skin volume, texture and resilience. They aim at rejuvenating the facial skin by eliminating wrinkles, enhancing the lips, correcting recessed scars, improving sunken cheeks, sculpting jaw lines and reconstructing noses and chins. Restore youthful vitality with injectable fillers! Yes, Dermal Fillers are regarded as the “elixir of youth” for facial aging. Plump up your pucker and experience the power of rejuvenation with Dermal Fillers! After examining the areas of your face to be augmented the injection sites are marked and cleansed with an antibacterial solution. Prior to administering the Dermal fillers your Dermatologist will use a local anesthetic to numb the treatment area. With the help of a very thin needle a small amount of the Dermal Filler is injected to fill out the sunken areas and lines to give a smoother, firmer and more refreshed appearance. Although infrequent, risks of Dermal Fillers may include bacterial infection, ulceration, filler irregularity/migration, raised bumps in or under the skin or allergic reaction. It will take about three days to see the “real” effect. The results will typically last up to six months. After that, you will need to receive Dermal Fillers again to maintain your rejuvenated appearance. Dermal Fillers are an excellent way to improve facial aesthetics by restoring a youthful resilience to your skin. This non-surgical facial rejuvenation treatment will speak out for you with that glowing, radiant and flawless facial skin. 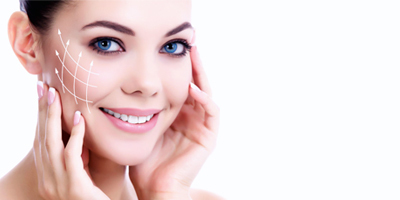 Dermal Fillers –A Boon to Rejuvenate your Aging Skin! Enhance facial contours and replenish lost volume and fullness with Dermal Fillers! Fill in creases and lines, plump up your lips and cheeks or enhance your facial contours with “skinjectables”!